Today we will learn how to set up a self hosted wordpress.org website, the installation and setup will take roughly 15 minutes. Creating A Wordpress.org blog is similar to that of wordpress.com because they are owned by the same company called Automattic Inc. , So therefore, they both have similar features, the only difference is that wordpress.org blog requires a hosting platform, and the knowledge of hosting cpanel management is needed, but believe me, its not difficult at all, don't worry Mybabanla will show you how right away. There are two ways of installing a wordpress software on a website, but in either way, you will need a host, you can purchase a host plan at windspeedhost.com, contact me for that. 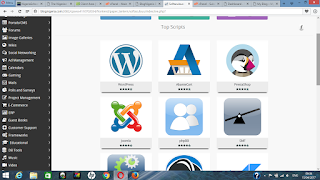 The First, easiest and recommended way is installing wordpress using softaculous or any other auto script installer in your host cpanel, windspeedhost.com uses softaculous which is the most popular one. 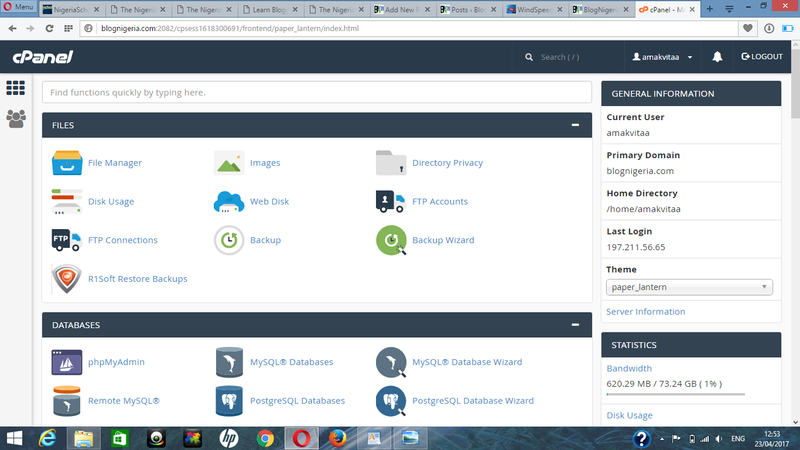 Secondly, you can install wordpress using MySQL database and FTP access, they can be found also on your host cpanel. 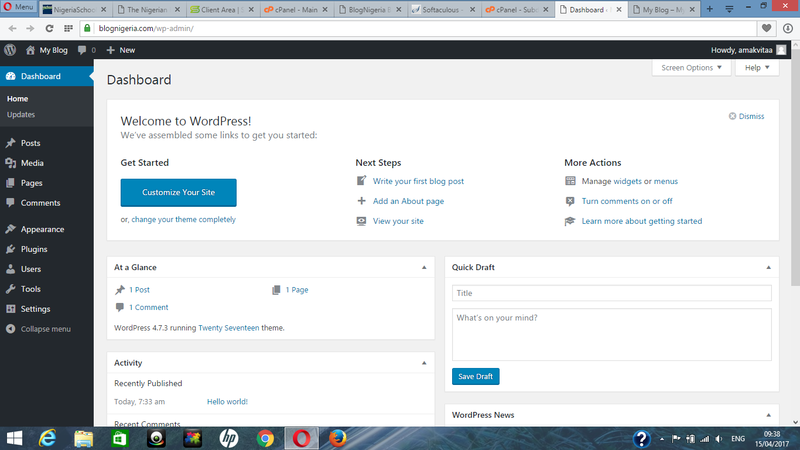 We will be learning how to install wordpress using the first method, and we will recommend this method to you. a. 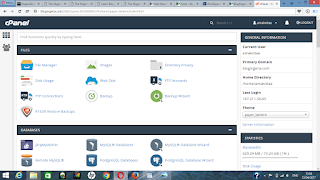 Using the username and password provided by your hosting company, login to your cpanel. b. From your cpanel, scroll down, you will see a section called Softaculous App installer, click on it ( you can also search for "softaculous" in the search box provided). c. Once on the softaculous page, you will see the wordpress software together with other softwares such as drupal, joomla, abante cart, etc. d. Click on the wordpress software, you will be taken to a review page. e. On the review page click on "Install", and you will be taken to a setup page. f. On the setup page, Choose the protocol you want to use ( its usually http unless you have purchased an SSL certificate for your domain, then you can use https ). 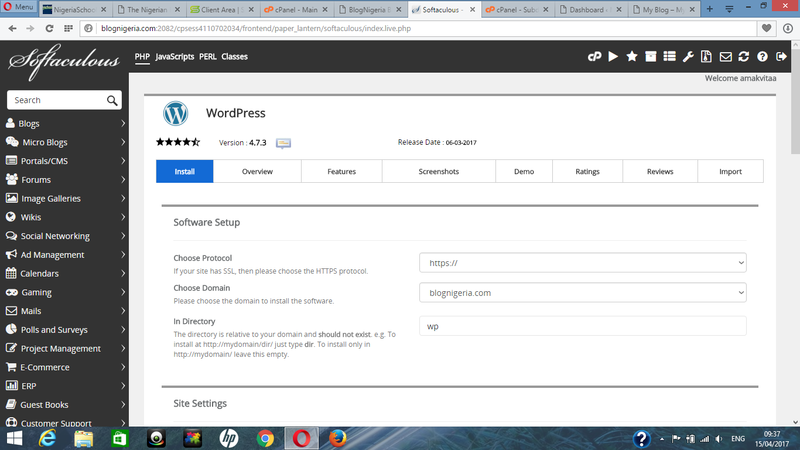 Next, select the domain you would like to install wordpress on, in this case we used blognigeria.com. 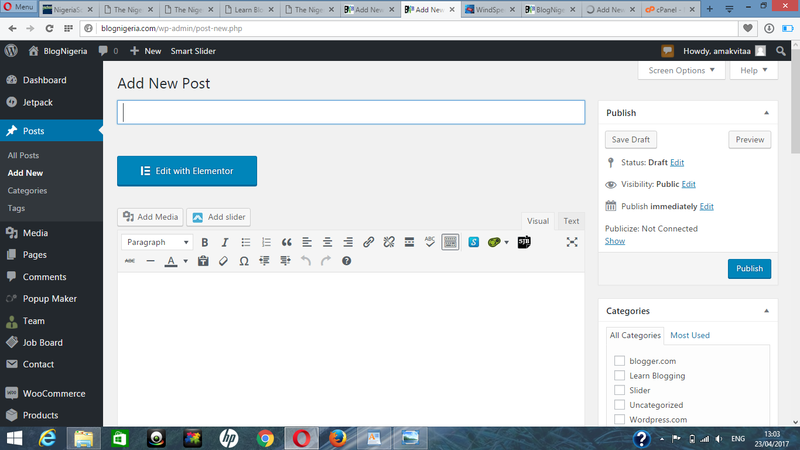 Next, choose the directory you want to install wordpress on ( you should leave it blank, delete the custom "wp" on it, unless you want to install wordpress as a sub directory, example Yourwebsitename.com/wp ). Next, Input your Username, email and password ( take note of your details, you will use it to login to your admin dashboard later), ignore other settings and click on "install". a. Click on the yoursitename.com/wp-admin link to access your dashboard or Type this link in your browser www.yoursitename.com/wp-admin , In this case we used www.blognigeria.com/wp-admin ( take note of this link, its your admin dashboard link) , use the username and password you used during the installation process to login to your admin dashboard. 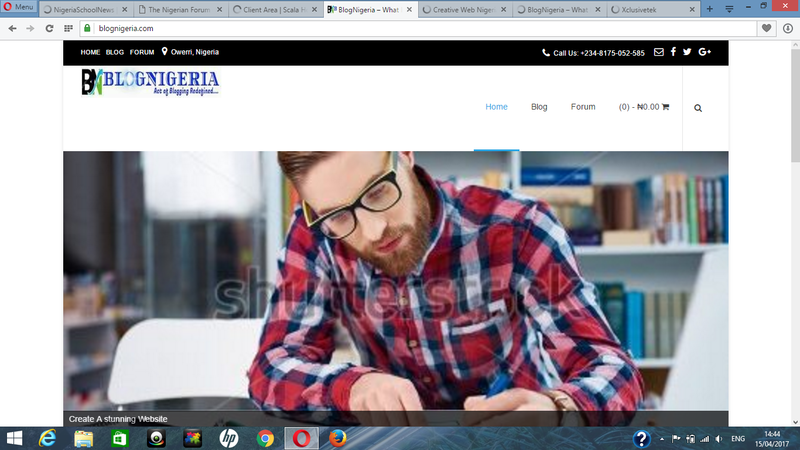 b. Navigate to settings > General settings , Input your site tittle and tagline and click on save ( see the images for better guide ), You can also go through other settings of customize to your taste. 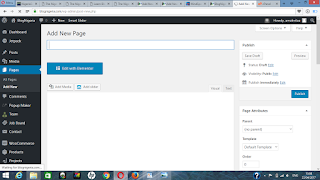 c. navigate to Appearance > Themes , You can change your theme or go on to customize your already chosen theme, click on customize. c. click on activate. ( we recommend you to install Jetpack first). 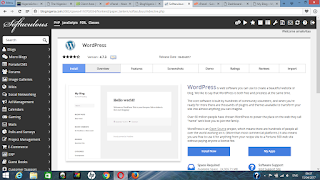 That’s all, If you don’t want to make mistake or you need a professional touch on your wordpress.org blog, Feel free to contact us for that, we can handle everything for you, and within 5 minutes, your blog will be up and running, including the SEO part of it.